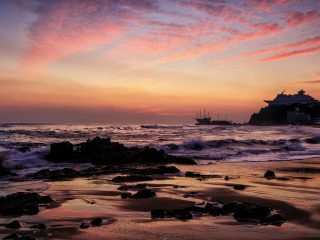 Her constant business trips proved a burden, however, so she quit her job to relax at home. This, too, proved not to her liking, and she took up quilting. After quilting, she began learning how to make hanbok. 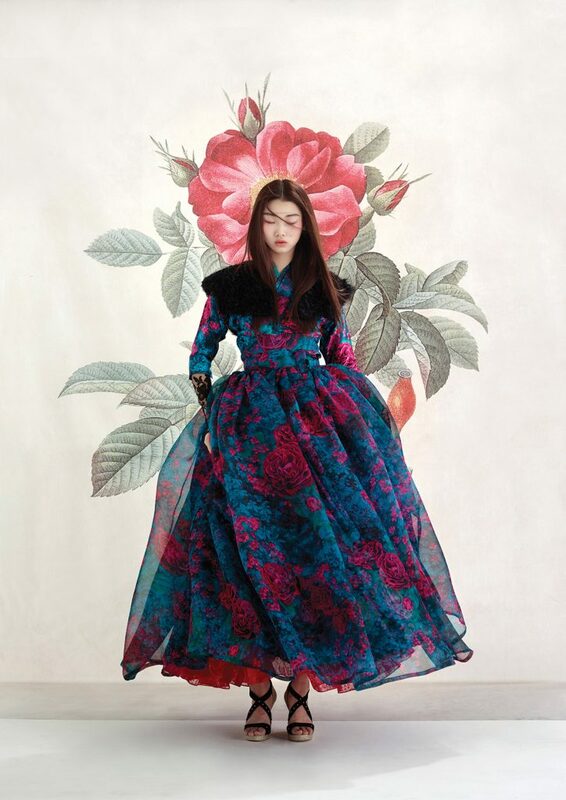 Studying under a master artisan, she learned how to make the “traditional” hanbok as it is commonly understood. 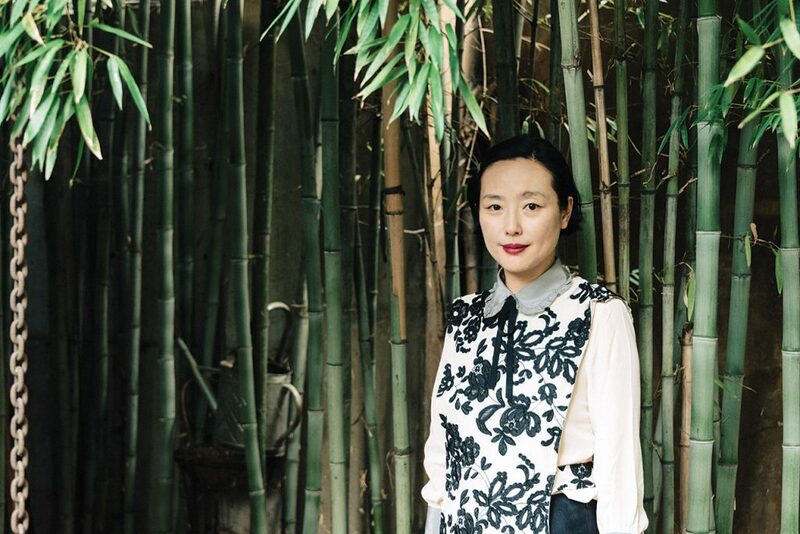 Finally, 12 years ago, she went into business making designer hanbok, largely for weddings. 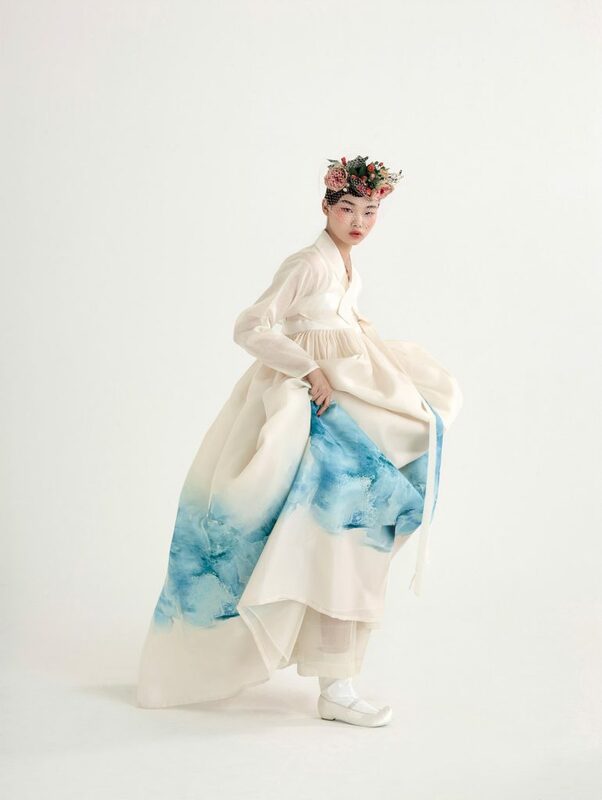 Feeling the need to bring hanbok fashion into the 21st century, she launched her second brand, the ready-to-wear Tchai Kim label, in 2010. The brand, she explains, marries historical motifs with her own identity as a designer. She cites the brand’s most iconic piece, the cheollik one-piece dress. “The cheollik is originally a man’s garment. While the pleats are very pretty, I thought they’d be unwieldy for a man today, but they’d look good on a woman. So I turned the cheollik into a one-piece dress.” Wear it with a wrap skirt, and you get more volume and more of a hanbok-esque look. The cheollik one-piece is Kim’s most popular work, and she’s rightfully proud of it. Her pride, however, comes not only from the sales. “Prior to me, nobody made a cheollik one-piece,” she says. “So I think it will be one of the greatest achievements as my life as a designer.” Of course, the success of the garment has led to many imitations, but this, too, reflects the influence of the design. 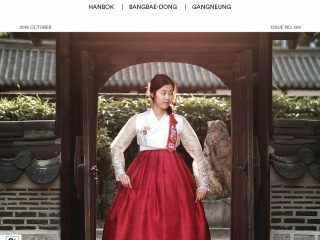 Kim hopes the popularity of hanbok in places like Bukchon Hanbok Village and Jeonju serve to generate greater interest in the Hanbok, regardless of the initial seriousness of the participants or the low quality of the garments. If interest is generated, the situation will improve over time, she hopes. 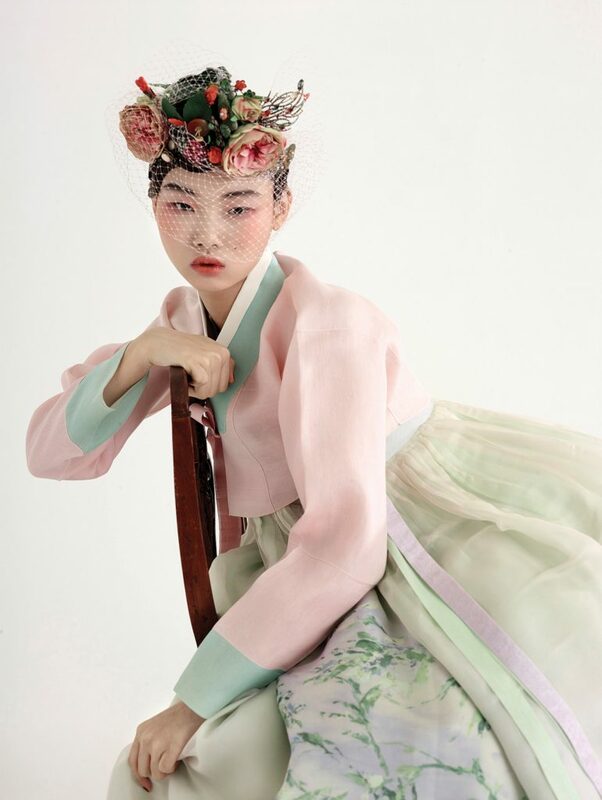 Kim thinks that for a proper interest in the hanbok to take root, it must be remembered that the garment is a matter of personal taste, not a social movement. It’s not a Mao suit – you can’t make everyone wear it. Calls to lower the price to encourage more people to wear it are mistaken, she believes. Instead, people should be refined enough to be able to choose their clothing according to quality.